LSU certainly does not have the same college basketball pedigree as Michigan State. Under coach Tom Izzo, the Spartans have made 22 consecutive appearances in the NCAA tournament. The Tigers are participating in the Big Dance for only the second time in 13 years. Since March Madness expanded to 64 teams in 1985, Michigan State has reached the Sweet 16 a total of 16 times. When LSU meets the Spartans in the East Regional semifinals Friday at Capital One Arena in Washington D.C. (6 p.m. Central/CBS), it will be making its fifth Sweet 16 trip in the same time span. Michigan State has advanced to the Final Four seven times with Izzo as coach – winning the national title in 2000 and losing in the championship game to North Carolina in 2009. In that same period of time, LSU has been to one Final Four – losing to UCLA in the national semifinals in 2006. Izzo has won more than 600 games in his coaching career. Meanwhile, Tigers interim head coach Tony Benford is 31 games under .500 (65-96) in his career at North Texas and LSU. The Spartans are the No. 2 seed in the East Regional after sharing the Big 10 Conference regular-season championship with Purdue and winning the Big 10 tournament title. The Tigers are the No. 3 seed after capturing their first Southeastern Conference championship in ten years. So, it appears that LSU is a solid underdog when it meets Michigan State. There is no more pressure on the Tigers as they continue their run in the NCAA tournament. Even if Will Wade was still the coach, most observers believe a SEC title and a trip to the Sweet 16 would have been the best LSU could do. The Tigers are a live underdog against the Spartans. First, LSU needs to get Michigan State in a close game. The Spartans (30-6) have been in eight games decided by six points or less. Michigan State lost five of those games – Kansas (92-87), Louisville (82-78), Indiana (79-75 and 63-62) and Illinois (79-74). Everyone is very aware of how good the Tigers have been in two-possession games this season. LSU is 13-5 in games decided by six points or less – including their NCAA tournament games against Yale (79-74) and Maryland (69-67). In the Tigers’ brief history in the Sweet 16, being the higher-seeded team has been a problem. LSU is 3-0 when it has been the lower-seeded team in the regional semifinals. The No. 11-seed Tigers beat No. 2-seed Georgia Tech 70-64 in 1986. No. 10-seed LSU beat No. 3-seed DePaul 63-58 in 1987. The No. 4-seed Tigers beat top-seeded Duke 62-54 in 2006. LSU lost when it was the higher-seeded team. The No. 4-seed Tigers were beaten by No. 8-seed Wisconsin 61-48 in 2000. LSU will be facing a Michigan State team, which is a more experienced version of Maryland – the squad which pushed the Tigers to the limit. The Spartans shoot well – 49 percent from the field, including 38 percent on 3-pointers. Michigan State opponents make just 38 percent of their field goal attempts. Like all Izzo-coached teams, these Spartans are tough in the paint. Starting post players Xavier Tillman (6-foot-8) and Kenny Goins (6-7) combine for 17.9 points and 16.1 rebounds per game. Backup post player Nick Ward (6-9) contributes 13.7 points and 6.2 rebounds per game. LSU starting post players Naz Reid and Kavell-Bigby Williams were outplayed by their Maryland counterparts. The Tigers were helped by backups Darius Days and Emmitt Williams, who had productive days off the bench. 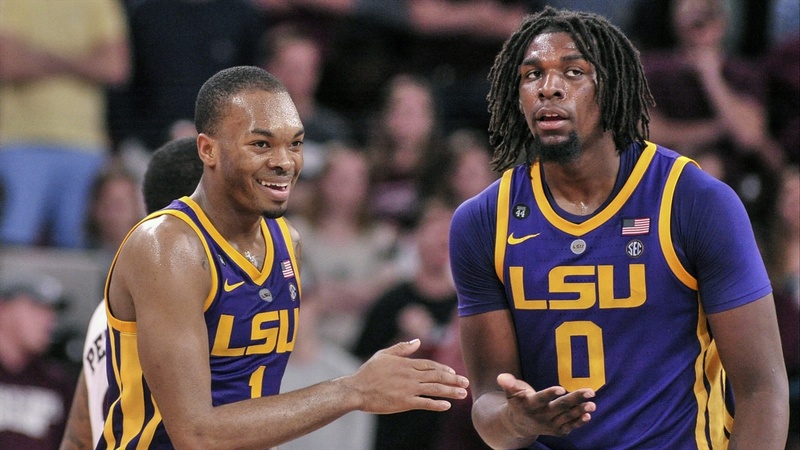 LSU needs huge outings from Reid and Bigby-Williams on Friday. The glamor matchup will be between the two point guards – Michigan State’s Cassius Winston and LSU’s Tremont Waters. The 6-1 Winston, who was the Big 10 Player of the Year, is averaging 18.9 points and 7.5 assists per game. Winston is shooting 40 percent from 3-point range. Waters, an All-SEC selection, is accounting for 15.0 points and 5.9 assists for game. Waters, who is averaging 2.9 steals per game, must use his quickness on defense to harass Winston. There is one final positive for the Tigers in their meeting with the Spartans. There is no Magic Johnson on this Michigan State team. LSU lost to the Spartans 87-71 in the Mideast Regional semifinals in 1979. In that game, Johnson contributed 24 points and 12 assists and made 14 of 15 foul shots.